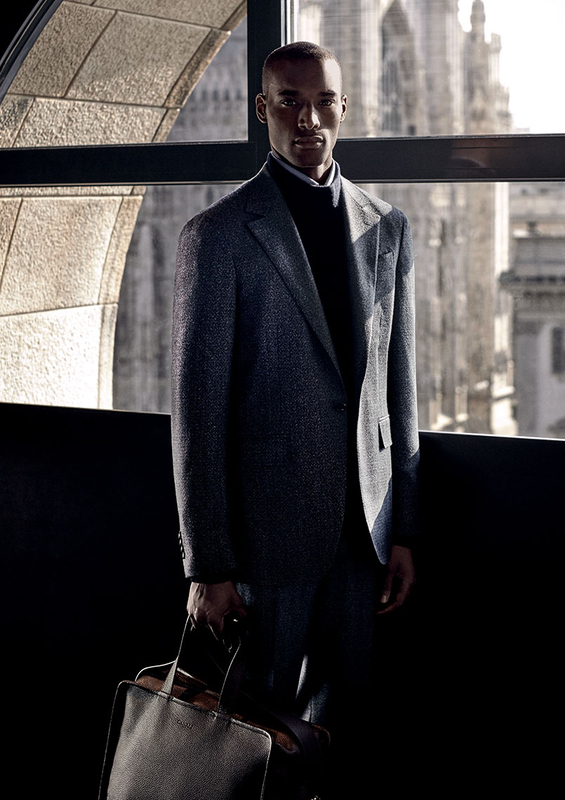 A timeless sartorial suit matched with contemporary garments that add personality to a refined yet relaxed look: our Fall Winter catalog explores all aspects of the modern man's life and dares to combine the best of the Made in Italy tradition with the stylistic codes of today. 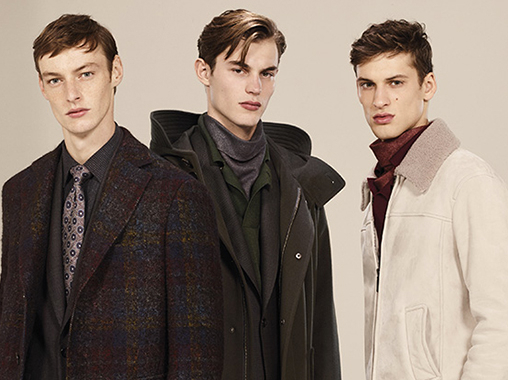 A fluidity between dress codes and occasions dominates the digital age. Elegance today is a casual pose, a versatile style, an spontaneous gesture of someone who is confident and tranquil. 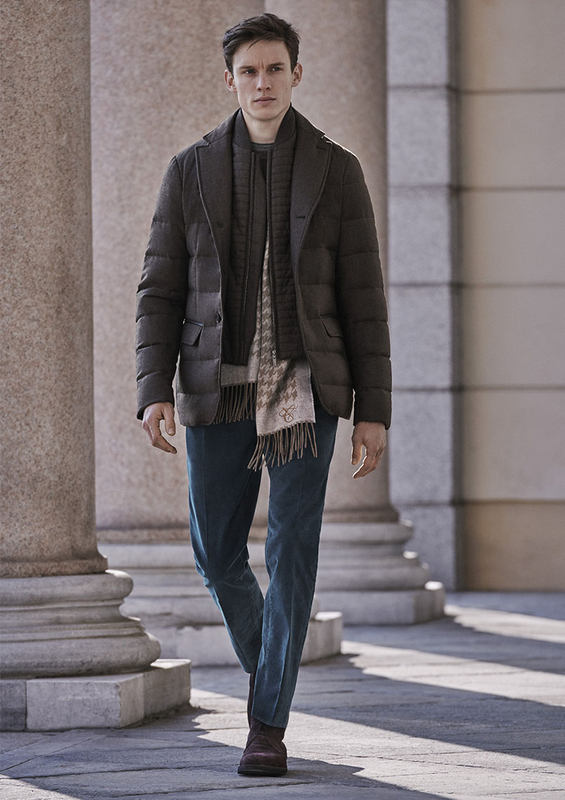 Mobility and efficiency are key words for this chameleonic approach, a perfect balance between formal and informal: the sportive outerwear comes in classic silhouettes, the casual pants are made of precious fabric blends, whilst the shoes and accessories are refined and practical at the same time. 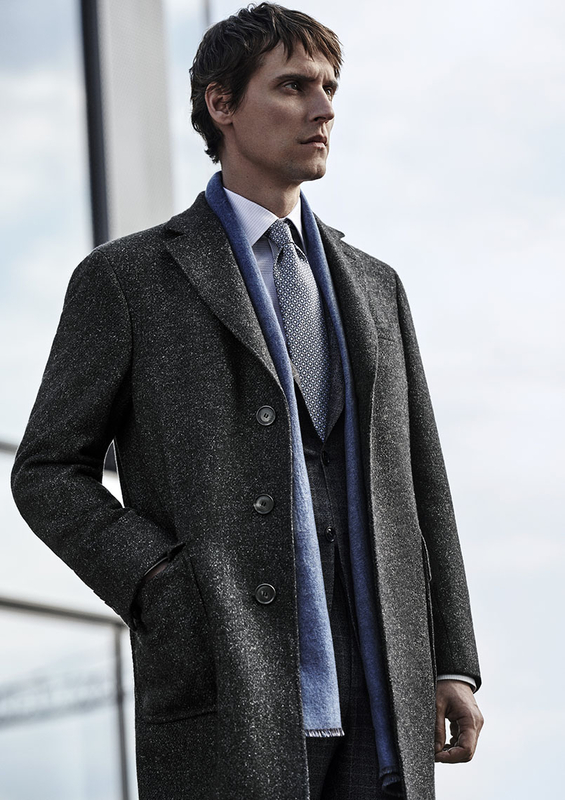 When the temperature lowers, the challenge is to find a garment that can be stylish yet warmth. Our solution is a pure wool padded jacket that will add a refined touch to your casual ensembles whilst protecting you from the cold. Practical due to its numerous pockets and adjustable waist, and luxurious because of its precious fur collar; this piece is the perfect complement for casual pieces like this cashmere turtleneck sweater. Inspired by the light of dawn that gently brings monochromatic cities back to life, the palette of the collection consists of refined chiaroscuro shades of green, Bordeaux, and blue. The color contrast between intense and delicate, dark and luminous shades, allude to a dynamic urban lifestyle; relaxed yet attentive to every detail, the collection uses sartorial tradition as a tool to interpret contemporary trends. Canali sunglasses are 100% handcrafted in Italy and combine style, comfort, and quality. During the beautiful autumn and winter days to come they will be an indispensable accessory that will add a touch of elegance to any casual look. 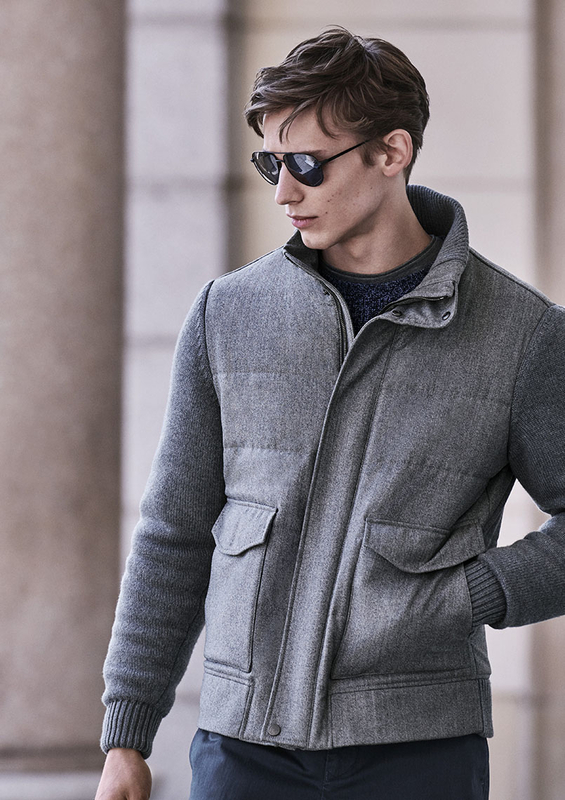 For instance this light grey jacket, pure cashmere sweater, and pair of chinos combo is heightened and given a refined effect with this stylish pair of shades. 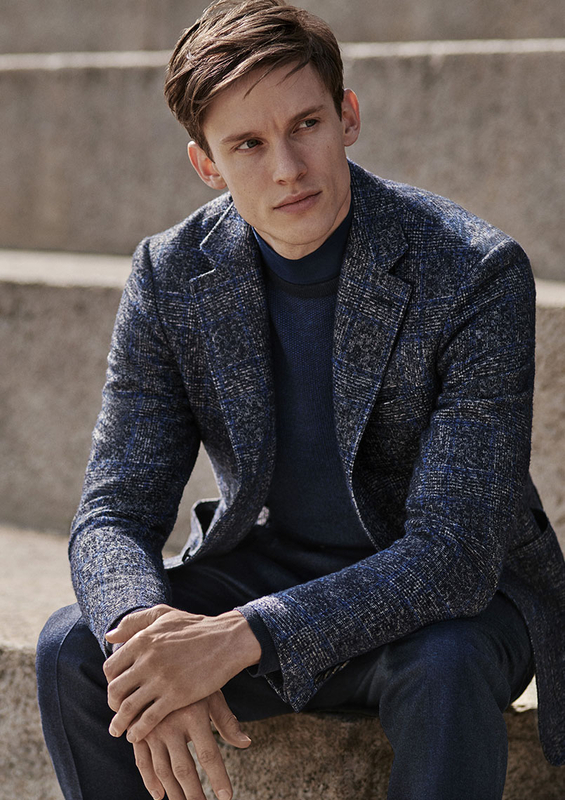 This elegant blazer shines from within due to the luminous blue nuances created by the fabric that captures the beauty of the glistening autumnal sun. 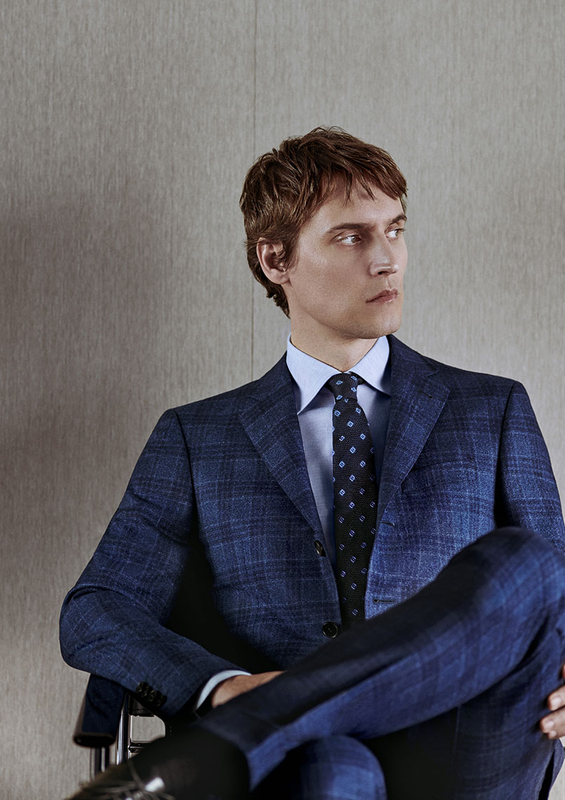 Available in a classic Prince of Wales motif contrasted by a modern electric blue shade and placed over a gray chiaroscuro background, this garment is the epitome of sartorial refinement. Standing out from the crowd is a choice. 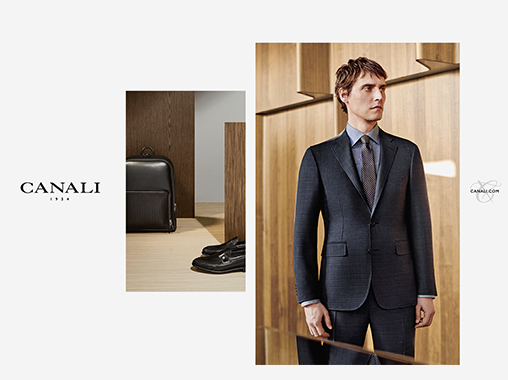 For Canali, power aesthetics are conceived by the authority exuded from a tailored suit and the matching accessories chosen by each individual. This one specifically has an iconic Prince of Wales motif - the epitome of the timeless, captivating, and on-trend styles. Its youthful balance between symmetry and contrasts creates a structured yet light silhouette, that is both sophisticated and discrete. We construct elegance using sartorial tradition as a tool to reinterpret contemporary trends and stay ahead of the needs of the man of tomorrow. We aim to create classic suits that tastefully matched with a shirt and tie, will always and forever exude charm and passion, and flawlessly represent our attention to detail and craft. Our fall winter collection is characterized by a plethora of defined textures, sophisticated mélanges, and micro-motifs that will only be revealed to the keenest-sighted. 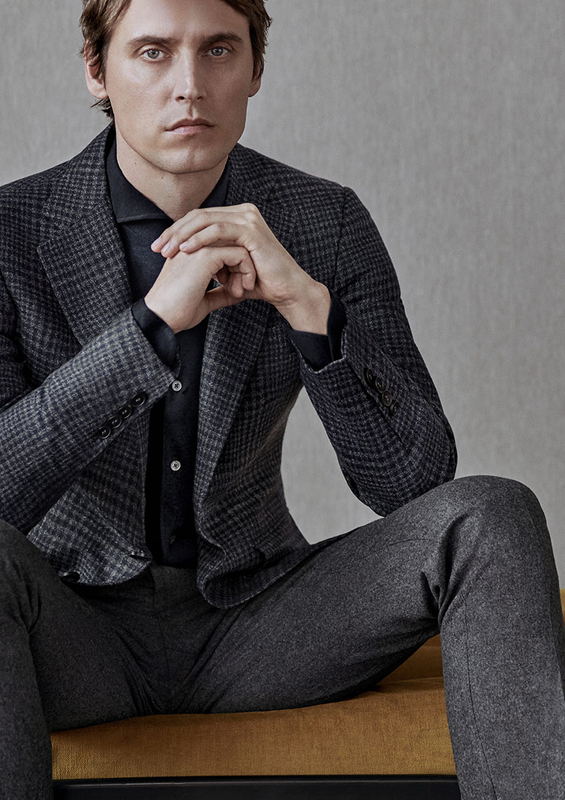 The contrasting patterns come to life on fabrics exclusively created for Canali like pure cashmere and blends of such with chinchilla, mink, and Super 170's wool to name a few. The essence of elegance is in the balance between the pieces: a blue Prince of Wales suit with a mouliné background goes incredibly well with a light blue shirt and a darker tie with a sophisticated geometric pattern. Providing us with reinterpretation of the classic office look; a contemporary take on a refined ensemble that all together is dynamic and eye-catching. 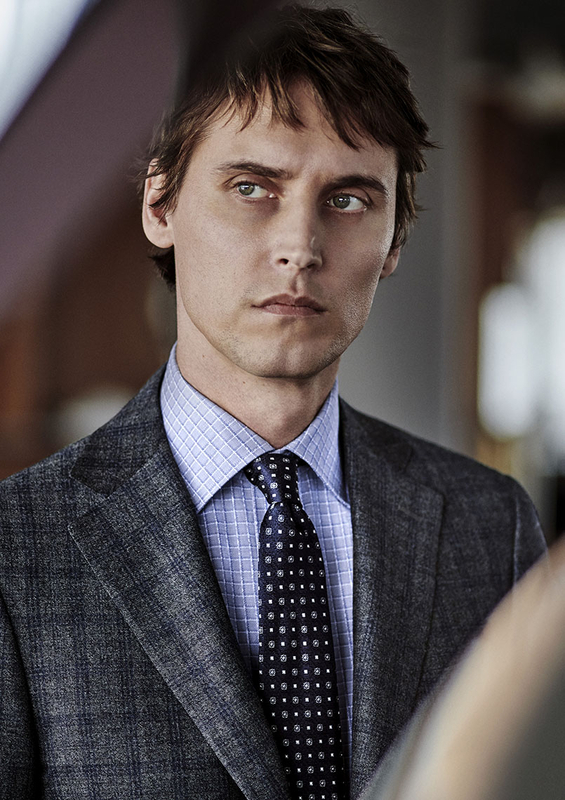 Sartorial excellence is a matter of composition: a precious fabric like our Impeccabile ensures a perfect fit as well as comfort and practicality. It is water, crease, and stain resistant and is highly breathable. 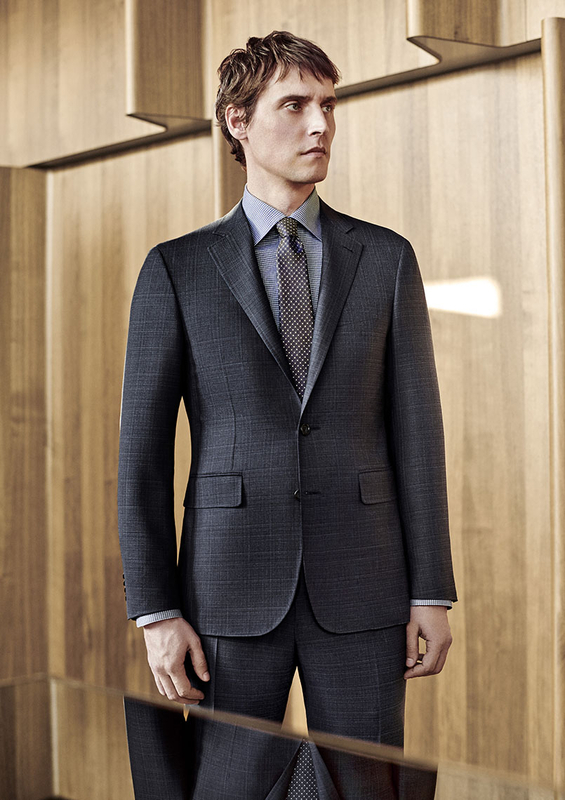 With a refined cut and a woven effect micro-pattern it is the ideal garment for the today's businessman. Adopting contemporary trends, picking a color or drawing inspiration from an object: it is the personal interpretation of these elements that will give life to a style that is an authentic expression of oneself, of one's way of feeling and living. These will conceive a look that creatively combines textures, materials, and colors that both match and contrast each other; whose common thread is an innate sense of elegance. 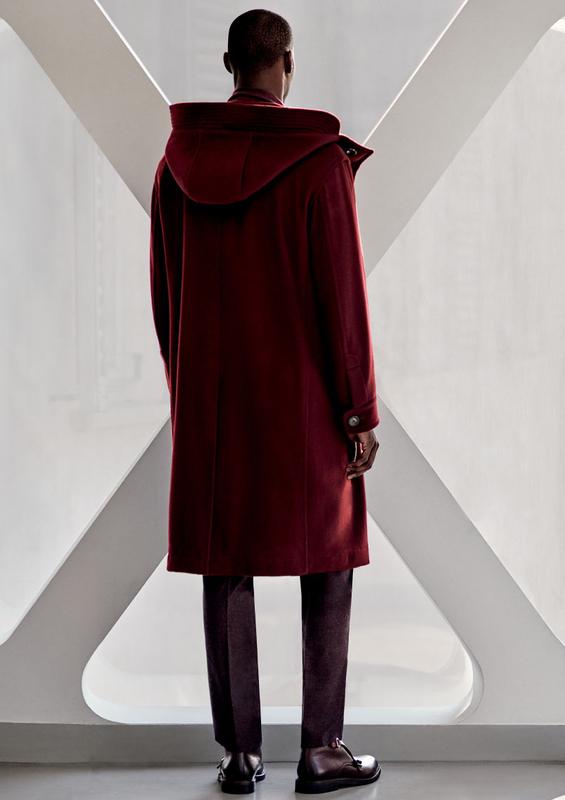 An intense burgundy shade heightens this trendy item: an oversize parka with a military cut made of a precious wool-cashmere blend. 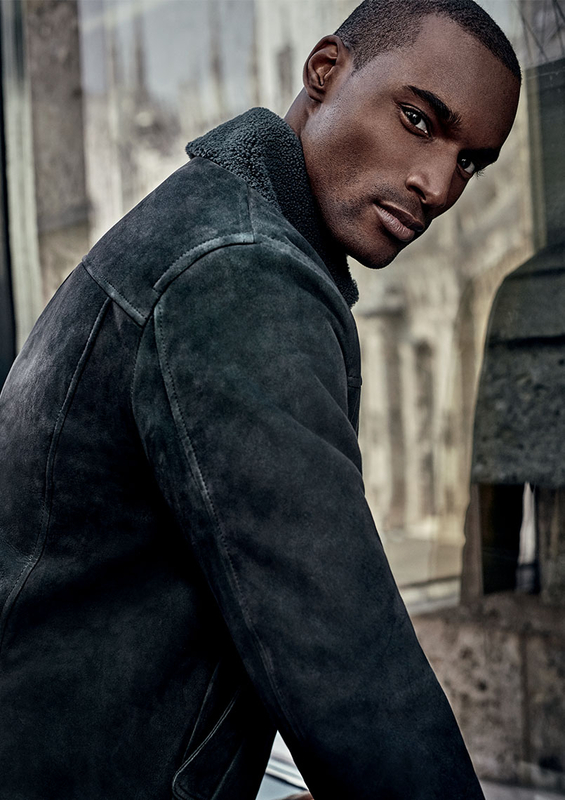 Its intricate and distinctive details, like the wide hood and rounded edges, add a contemporary touch to the piece and display the sartorial tradition behind it. Perfect to wear with a casual look, but also over a formal dress for an unforgettable look. 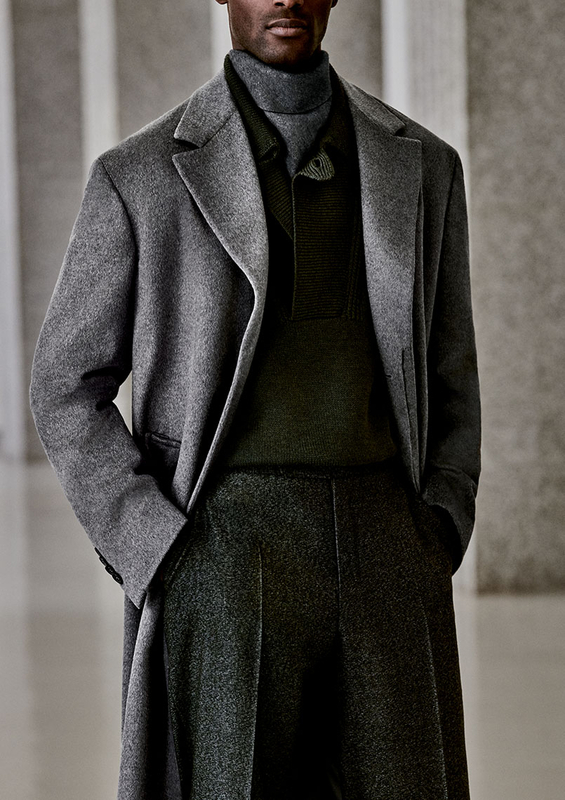 Soft and imposing notes of gray alternate in the autumnal wardrobe, creating a dynamic and harmonious visual melody. The geometric patterns follow the established rhythm, and elegantly contribute to the sober and refined style we find in the formal and casual garments and in the soft and intricate accessories and scarves. 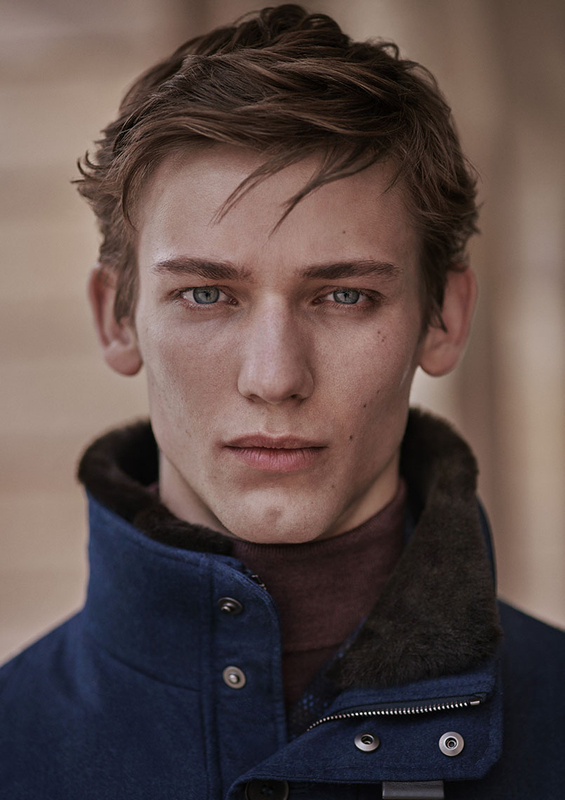 From our selection of outerwear stands out the striking and detail-full mutton: with an oversized fur collar and rounded-edged pockets and cuffs it is a piece with an exceptional construction. A luxurious urban chic style, the ideal complement for some jeans, a cashmere sweater, and a pair of sneakers or boots. 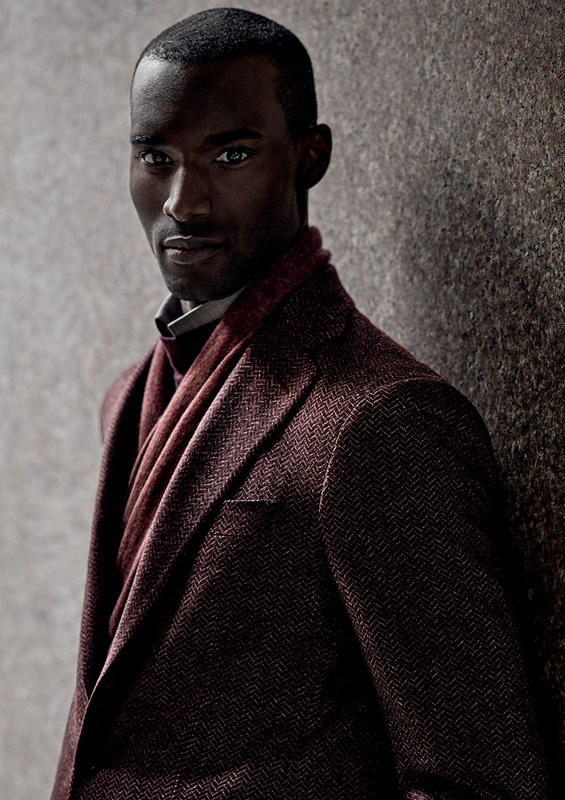 Winter is tinted with warm burgundy and beige shades intertwined in an elegant chevron texture. A Kei jacket in pure wool with cloth effect, combined with a very fine turtleneck, softly embraces a structured silhouette. 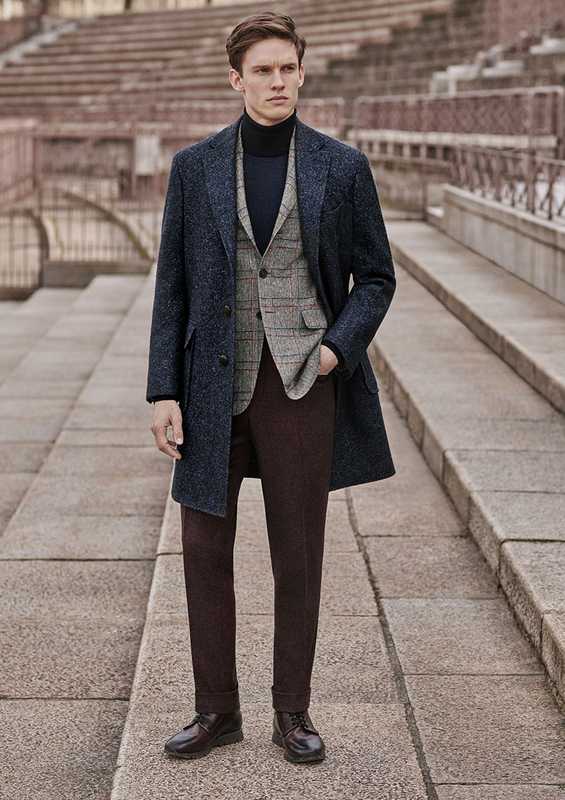 A strikingly passionate look to face the cold season with casual elegance.